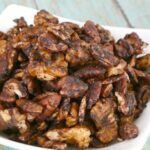 These low carb cocoa nuts are cooked in the slow cooker and are a super tasty and nutritious snack! 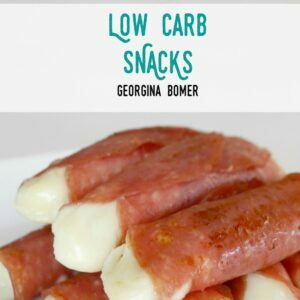 Keto and sugar free recipe. Check out the ones I have circled! 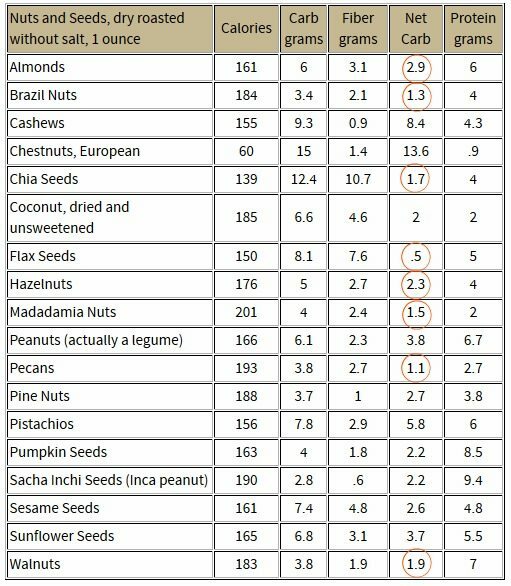 This had me convinced, but I decided to make my nut snack chocolaty! 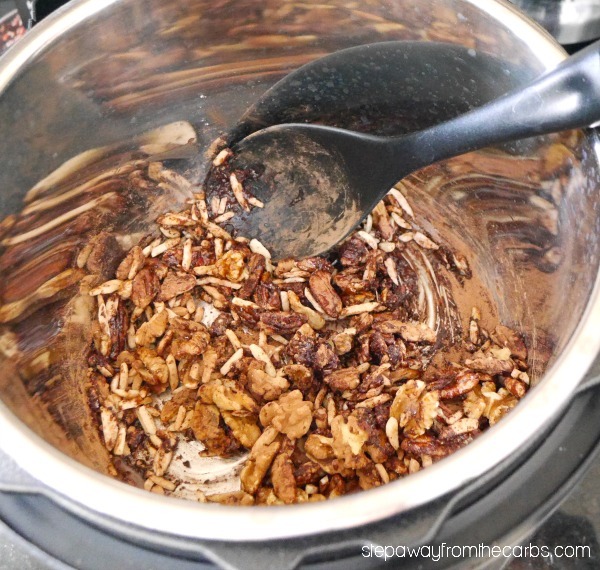 Add the nuts to a small slow cooker (I use a small 3-quart one or an Instant Pot with slow cooker option) – my mixture was walnuts, pecans and slivered almonds. Add melted butter, vanilla extract, cocoa powder and sweetener (I used Swerve), and stir well. Cook on high for 1 hour. They will smell absolutely amazing when they are cooking!!! Spread the nuts onto a baking sheet to cool. 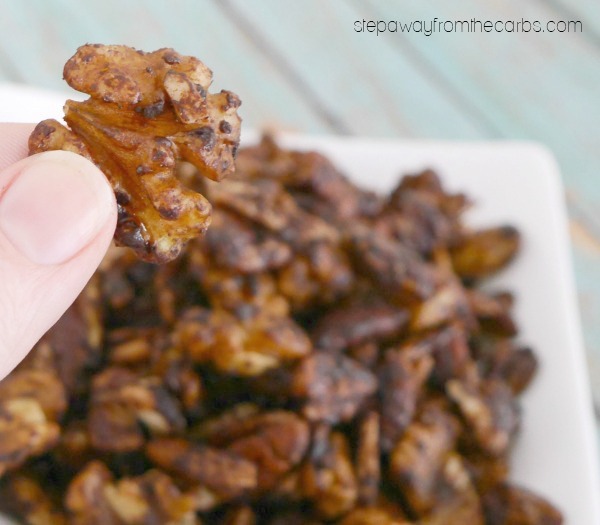 Store in an airtight container and enjoy this low carb snack anytime! 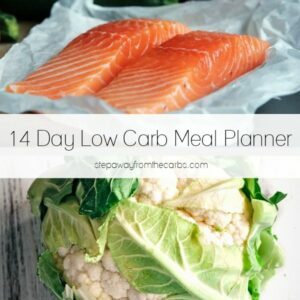 Place all the ingredients in a small slow cooker and stir well. 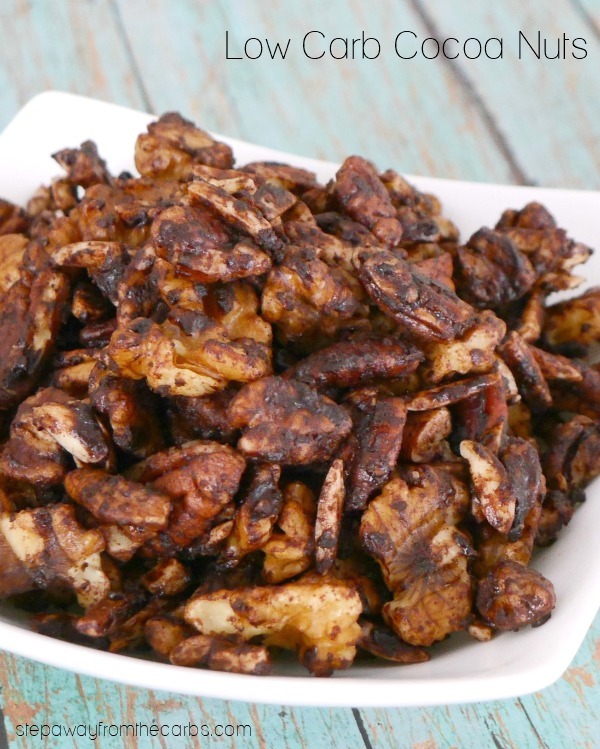 Spread the cocoa nuts out onto a baking sheet to cool. 2g net carbs per serving (one sixth of total quantity). Does not include sugar alcohols from the sweetener. 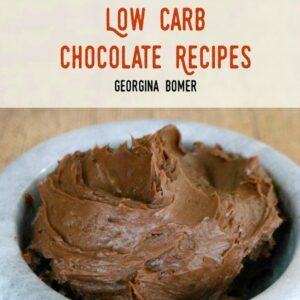 If you love chocolate – check out my Low Carb Chocolate Recipes book! Apparently all slow cookers are not created equal. Mine was smoking in less than an hour. Burnt. Oh no! I’m so sorry! 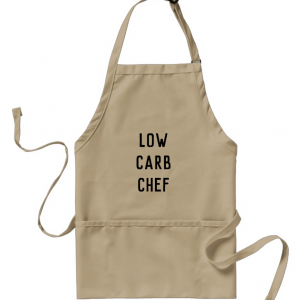 I only have the one I can test in – and the recipe works fine. I feel so bad! 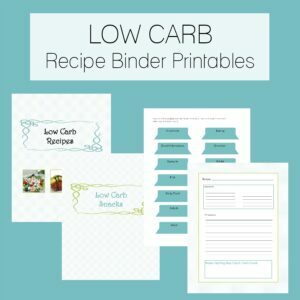 Can these be baked in a regular oven? Yes I’m sure they could – but you’d probably have to watch them carefully so that they don’t burn.